Nothing skimpy about this statement piece. 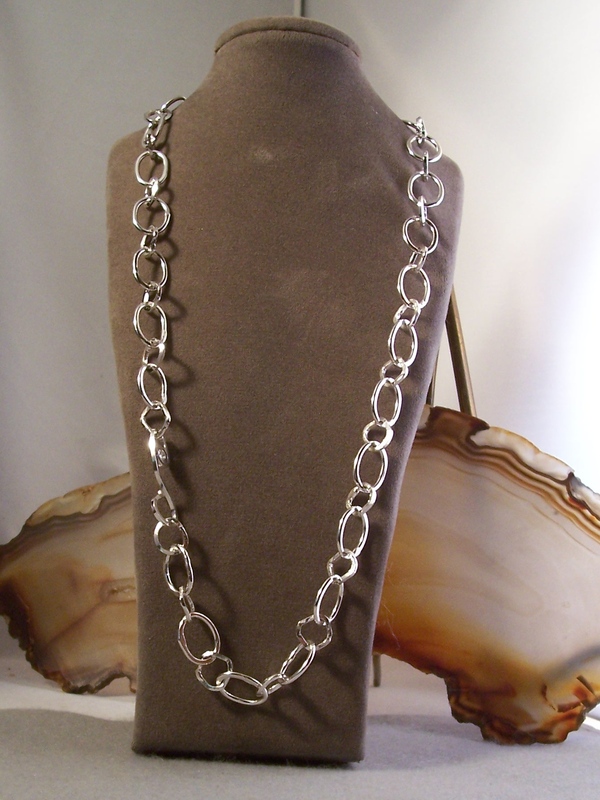 If you are interested in a nice heavy weight everyday wear sterling chain please consider this one. 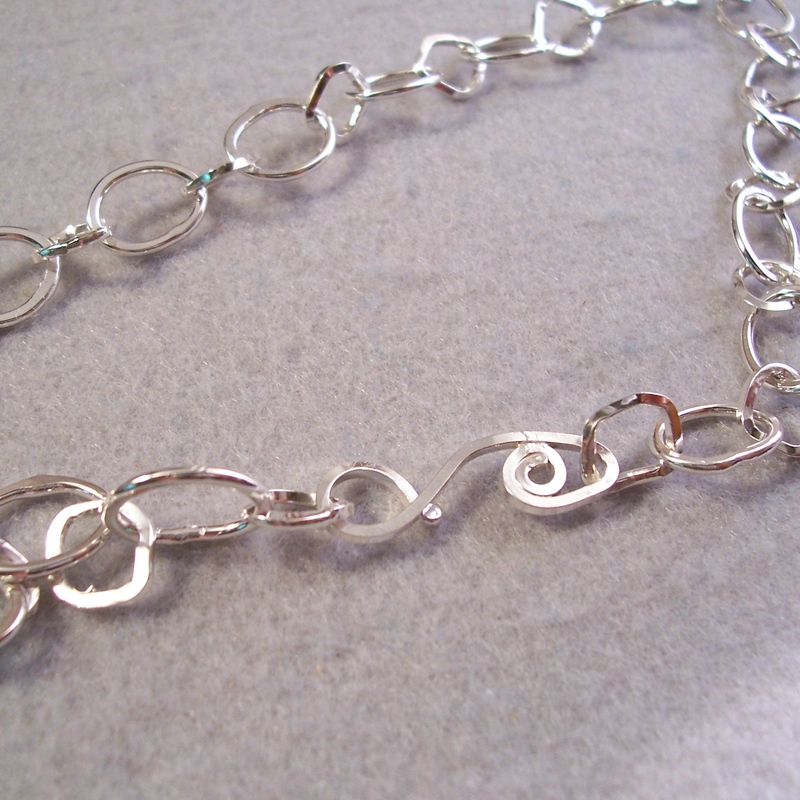 I have used 14 ga. sterling round and square wire to make each link of this 22" chain. Each one is soldered and another one added so as you can imagine it is a labor of love. Usually it is an all day job to finish one, and this was no exception. The oval links measure 5/8" by 1/2". I do my best to make them all uniform and perfect, but with all hand made art duplicating is about impossible. I have tumbled this for a high shine and made it's decorative clasp. 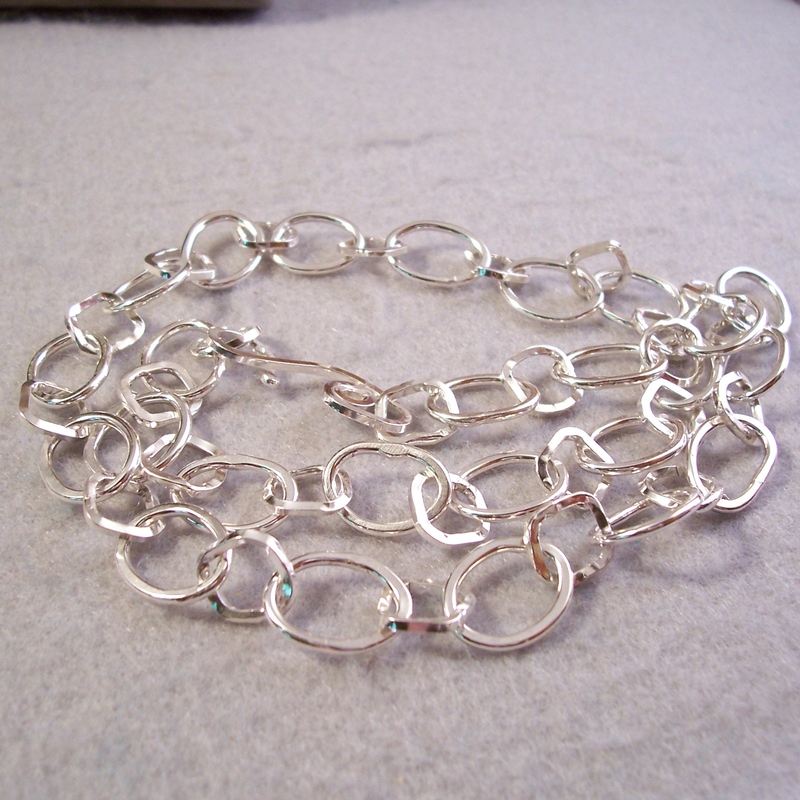 If you wish to clasp it on a different length to make it shorter-- that works quite well. Everyone could use one of these in their lifetime wardrobe don't you think?